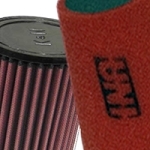 This intake has not been submitted for California CARB approval. Off-road use only in California. During intake testing, we learned a lot about the new turbo MINI. A simple filter attached off of the Air flow meter did a really good job of freeing up the intake on the new R56. 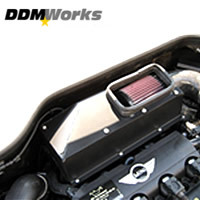 In fact this simple intake proved to be a real good bang for the buck. However, we did not want to produce just a good intake, we knew we could do better. So we took the time to seal the intake with a covered box that installs easily over the bottom of your stock intake. With the system in place the RAS seals with the PFB resulting in a pressurized system at speed that eliminates restriction before the turbo like no simple filter intake system can duplicate. It also keeps the air coming into your MINI at ambient, a big plus if you are looking to make consistent power during long full throttle accelerations at the track. The PFB comes with a K&N filter that really allows you to hear the turbo spool and the bypass valve sounds during shifts. 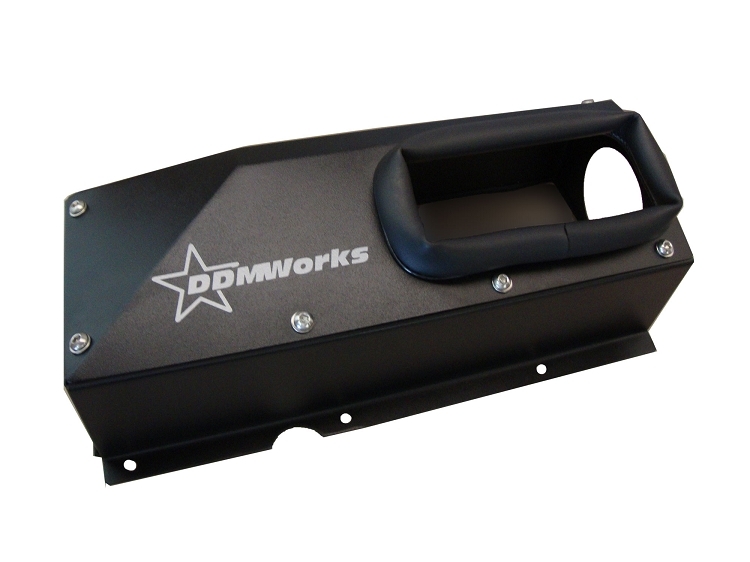 The intake is offered in DDMWorks Black matte powder coat for a very OEM look. Custom finishes are available upon request, please email [email protected] for more information. Black powder coat, looks great and protects from rust! 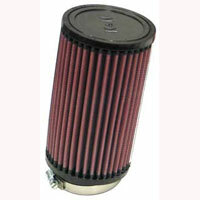 This intake has not been submitted for California CARB approval. Off-road use only in California. Q: please inform me if by purchasing this item i would also need to buy something else eg tubes, wires etc i already have RAS ?